It’s that time of year to be excited about the holidays! I thought I would re-visit Christmas 2007 at Starbucks. 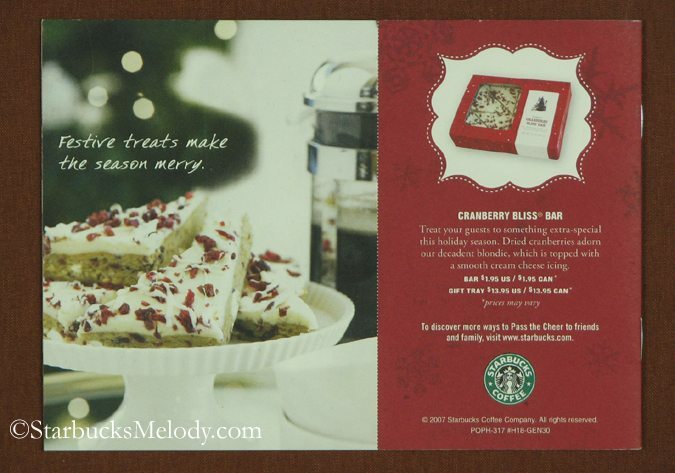 I owe a big thank you to regular StarbucksMelody.com commenter “CD” who sent me this holiday pamphlet. (It is attached as a series of photos for you.) 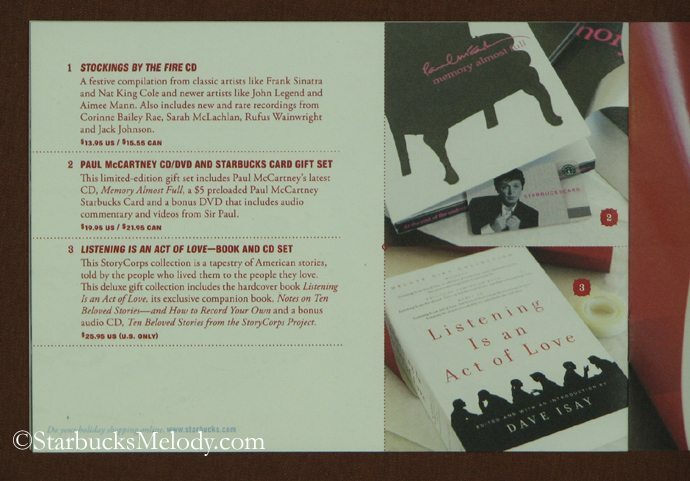 The funny thing is that 2007 seems like a long long time ago in Starbucks years. 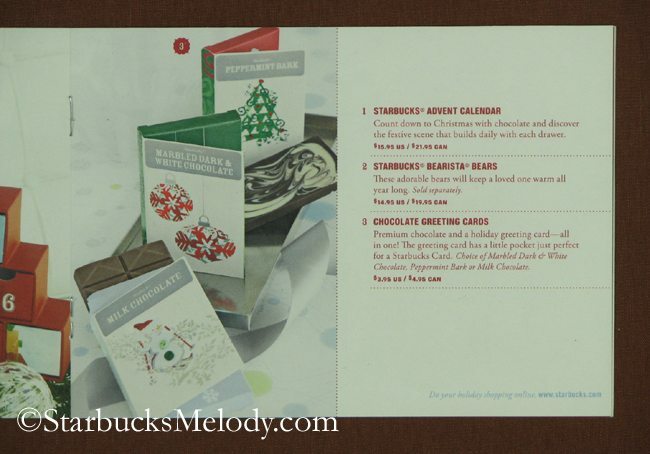 I definitely remember the chocolate box cards – I think I had bought of a few of those for myself. 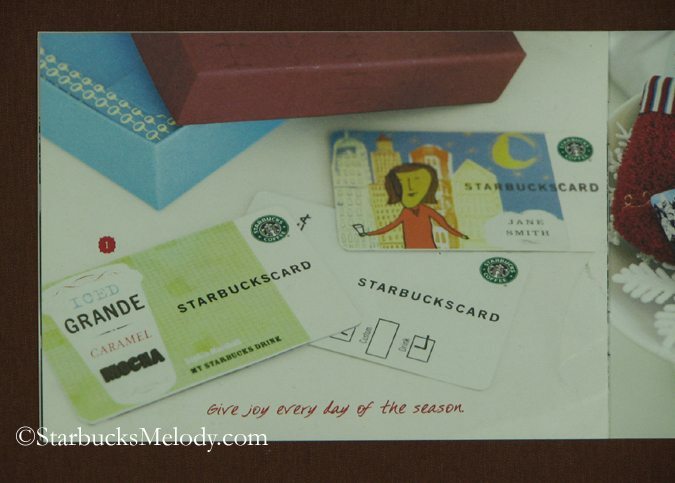 And in one image, there are photos of the previous custom cards, which are no longer available at Starbucks.com. The ornaments featured show off the kind with the globe on top. And I think that 2007 must have been the last year with a true Christmas bearista bear. I definitely had bought some of the Espresso Regalo coffee too. 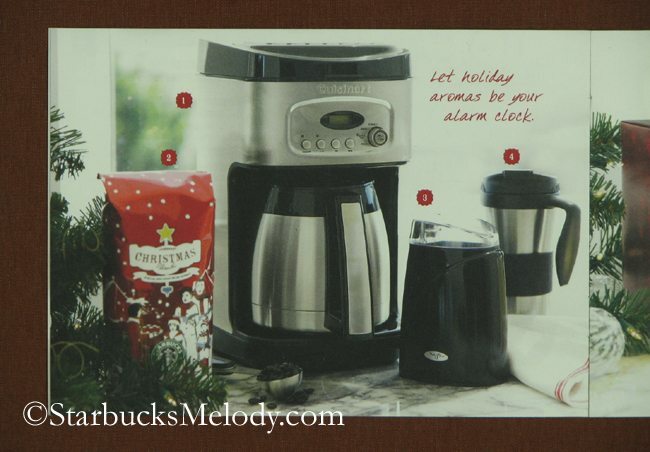 In looking at the photos, I also tend to think it was the last year that you could buy an espresso machine at Starbucks. So how is everyone’s Christmas going? 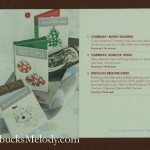 And I wonder how Starbucks is doing this year? 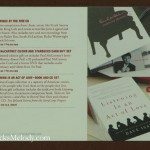 Another great post Melody! It’s always nice to reminiscence on Chirstmas’ of the past. Wow – that takes me back. 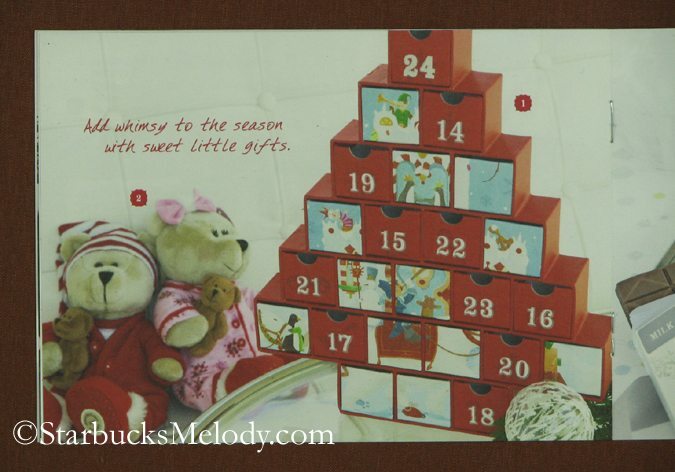 We’ve one of those advent calendars still – packed away in the Christmas box. It will get reused one of these years. 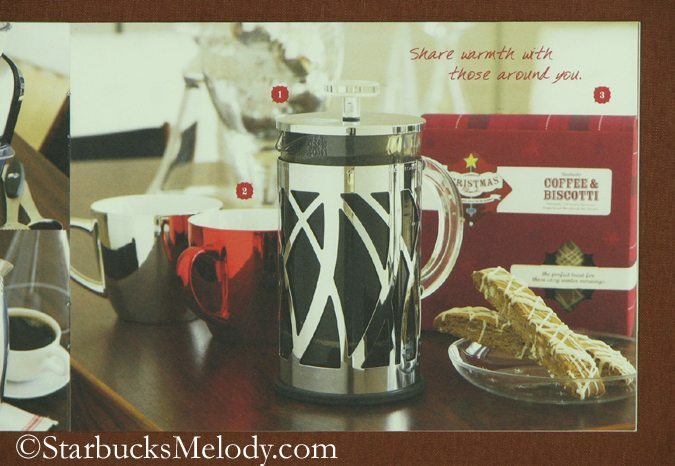 The at home Sbux tumbler that I drink have my coffee in all of December is the 12oz one, from 2005…red with “it only Happens ONCE AYEAR”…and little strings of lights across the top.? It’s my all time favorite coffee cup. 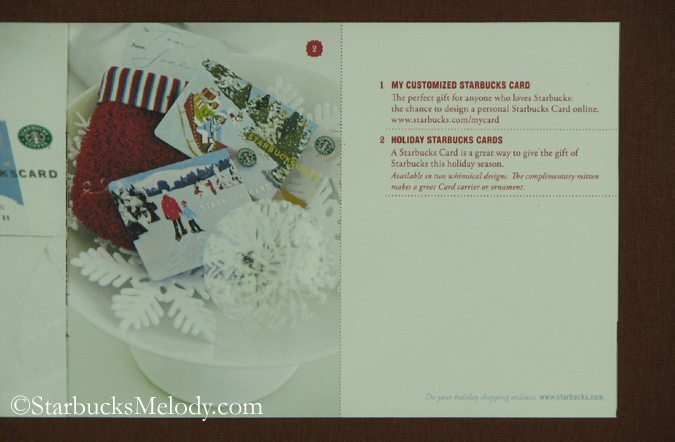 ok…..@Melody…here comes a button-push: I’m buying a lb of Verona at my regular store yesterday..the partner who was ringing me up has been at Sbux for yrs. (YRS) I get the beans and before I can even tell her my drink (my “any tall beverage”) she starts to pour me a coffee, asking which one I want. YIKES!!! I tell her: it’s a tall “beverage”…she acepts that, with, what seemed to be some skepticism…..I tell her, just swipe my card…you’ll see (now that the mess up with the new pckging has been FIXED)…….she’s perfectly willing but, wasn’t really sure. She talks with another long-timer about it….I couldn’t hear his response. The sm was off but I will alert him to making sure (?? ?is that possible?) that all the partners know this. It just makes me wonder how many unkowing customers have accepted this as fact (‘tall coffee”) and gotten a tall coffee when they might have ordered a much fancier drink. ok. button-pushing done. I just always find this amazing, but sadly…not surprising. I don’t even know what could happen at Sbux anymore that would surprise me. sad….really. Thanks Melody for the brief trip down memory lane. 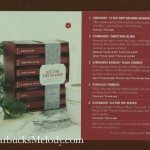 Hope that next year is good for all of you and that Starbucks starts carrying more merchandise made right here in the U. S. A. thus supporting American jobs and not in China. 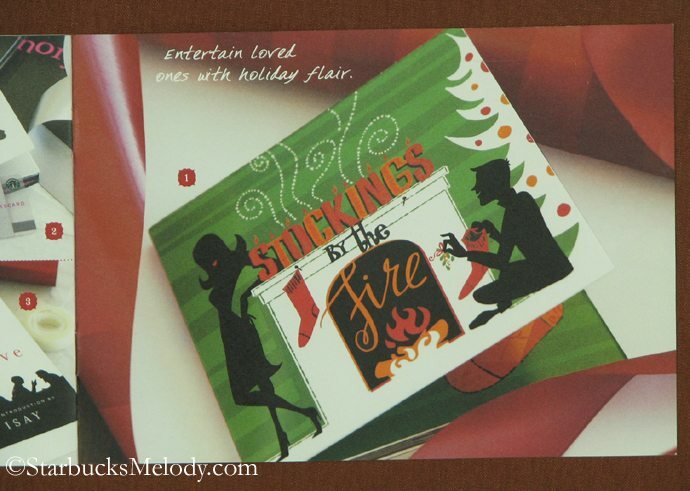 Hard to believe the holiday products of today are so different than earlier years. I also remember in previous years they had some Hanukkah products but none around here this year. I also find the holiday decorations this year a bit boring. Oh, as a partner, I remember ALL of that stuff. I also remember how long it took to get rid of some of it. I bought for myself the espresso accessory kit, got a 1/2 lb of the Regalo as a markout for myself & one for a friend, got the shot glasses and burr grinder as Christmas presents… I ended up with one of the fusion mugs that lost the lid, before they were recalled. The blade grinder was recalled because you could turn it on with the lid off… I guess somebody lost a finger or something. I still have the cup and coffee bag ornaments on my tree. Wow. It does seem so long ago. I imagine the Sirena was a loss for the company. I think it was designed with help from BMW, but was expensive and didn’t seem to sell well. I remember being impressed by the Sirena but I also was told it clogged with the Regalo and other Starbucks espresso (too many oils in the Starbucks bean is what I think I was told). At the time another manual machine didn’t fit my lifestyle (still doesn’t) but it is an attractive looking machine. 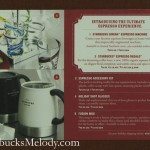 @CD – What’s interesting to me is how Starbucks experimented with selling very high end stuff in their stores – essentially the espresso machine, and there was the Barista Blender the year before? I think it goes with the prestige of the brand to offer at least something in the store that is that is an unusual well-produced product. 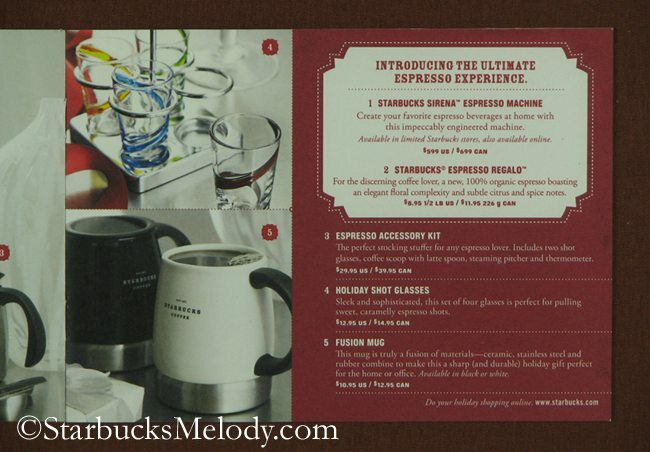 I could see Starbucks experiementing again with a high end automatic espresso machine in stores? 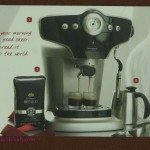 There isn’t really anything expensive in the stores compared to the days of everything from Limoge figurines to Sirena Espresso Machines to the Barista Blender. Hope that makes sense. Oh these are just gorgeous! I love love love the packaging for the Christmas/Holiday Blend. Did they sell all three different packaging at the same time? The drawings on them are so pretty, they coule be in a picture book. And the snowglobe tree ornament is something I would love to get my hands on, love it! I was hired in January 2007, so Christmas 2007 was my first Christmas season! It was a lot of fun! There ARE bearista bears this year, though! They have green jackets on! 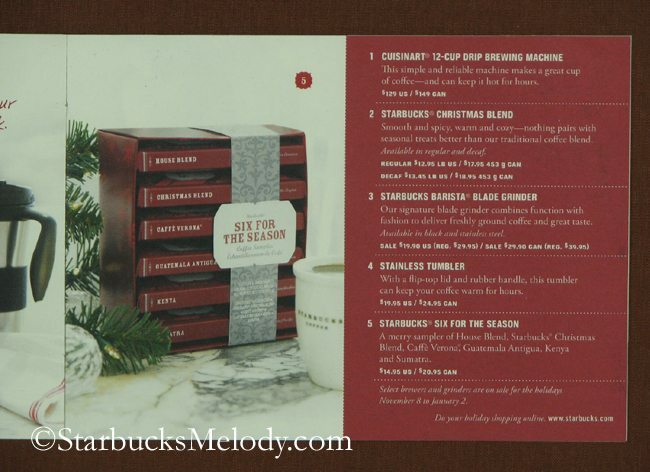 @melody, I agree there is room for more expensive things in the stores but it doesn’t appear to be the path Starbucks is on. The real money/growth is in CPG and brand extensions. IF they were to add machines in the future, I would expect they would be K-cup machines to support the launch of new Starbucks K-cups. I think that is the year the Tehachapi store ended up with over 30 espresso machines to sell that year….they were stacked near to the ceiling in several corners of the store. It is a really small store midway between Bakersfield and Mojave off of Highway 58. Not a major market by any means. I talked with the manager and she said she had no idea what they were going to do with them all. 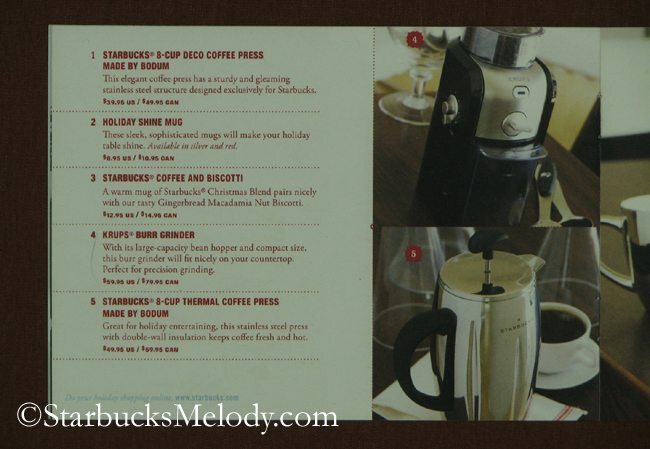 Starbucks, of course, started out selling equipment in order to make the fresh beans you just bought out of the bins. I still have my Braun KMM20 grinder that I bought on the Ave in 1988 (It says Made in West Germany too!) — I did notice a local store received a Bodum grinder nearly two years ago (I tend to notice when new things show up in the bean section)…I specifically inquired as to why they received it, and was given a shrug….it still hasn’t sold. During my recent trip to Intelligentsia Silver Lake, I did notice that they also had a large selection of coffee grinders, makers, pourovers, and other neat items for purchase…so some stores do find a way to make equipment available. 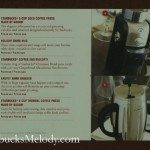 @Mike and @KarlDahlquist – I thought it was at least a small step in the right direction to sell the ceramic pour overs in the stores. But there was almost nothing to draw attention to them. They needed an excellent display and some barista enthusiasm. When everything in a Starbucks is small and cheap, it feels very pedestrian. There used to be SO much more merchandise for years and years and years. 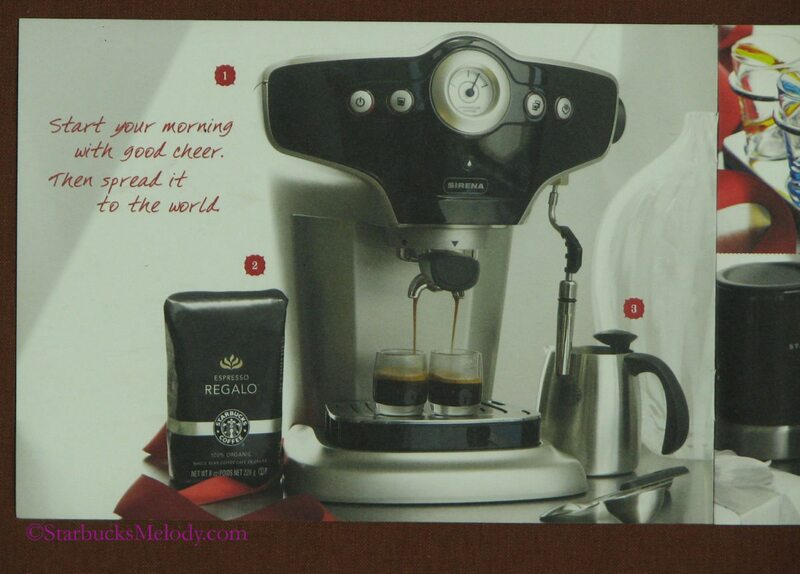 @KarlD – I have an old grinder from Starbucks too – Just a cheap blade grinder that got me by for many years. Sirena machines definitely went away in 2009. I started in 2008 and I remember which store I was in when I had to pull the plug on them. As explained to me, the inventory investment for several thousand stores carrying 1-2 pcs of items they might sell once a quarter didn’t make sense. 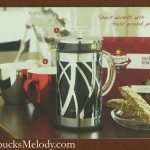 There’s still a range of Saeco machines on starbucksstore.com and that’s probably the best way for us to take advantage of this type of product. 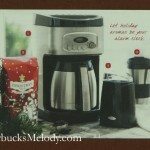 As for Keurig machines, I highly doubt we’ll be selling them. They’re a commodity given you can buy them in the grocery store, Sears, and the odd Home Depot. The inventor of the Keurig lives in the town my store is in, so perhaps I’m too close to ground zero for them. YMMV. 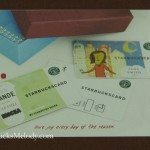 I certainly miss the days of Starbucks selling machines… I think they are more germane to a coffee shop than CD’s, stuffed animals and iTunes coupons. I love this post. 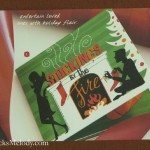 Seeing and reading about the holiday items from a few years ago is wonderful. 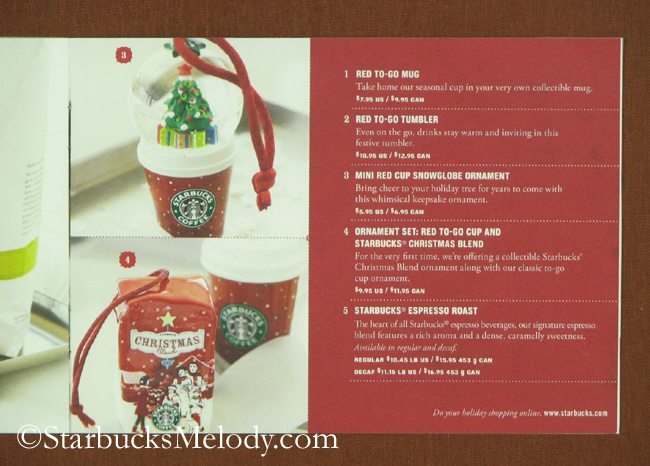 I started collecting the holiday cups and other fun stuff about then and wish I’d picked up a few more at the time. 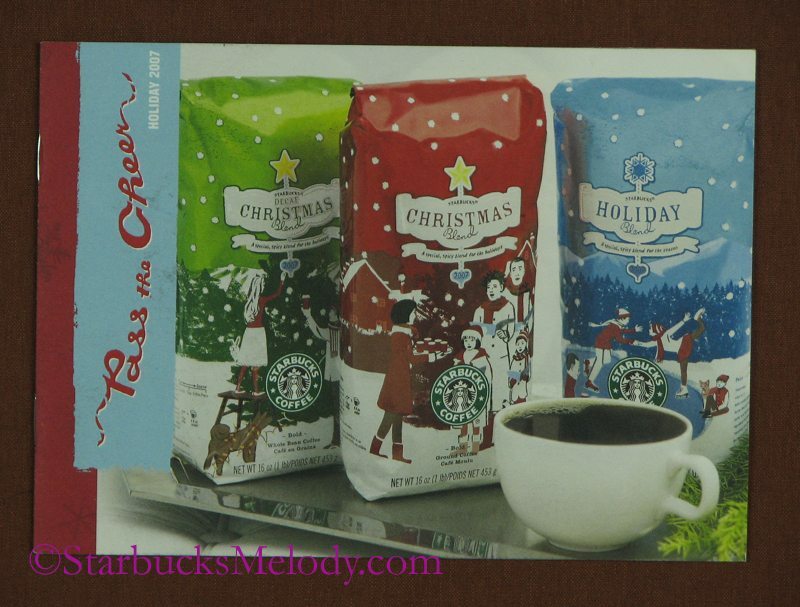 Have had to find some on ebay including the red cup and bag of coffee ornament set. 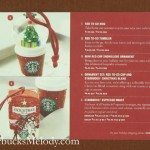 I have most of the red cup ornaments and have made a Starbucks wreath with them and add to it every year. I love the beautifully detailed artwork on the bags of coffee! @denise r, I have the 12 oz red cup from 2005. Definitley my all time favorite too. Pretty and just full of charm. speaking of ‘stuff’: just yesterday I was cleaning out a kitchen drawer and came across a plastic..what appears to be bag sealer (like the little metal clips they had once…. which I still use..great clip for sealing bags in use)…..this one is yellow, about 5″ across and maybe an inch+ the other way….. says (imprinted) “bodum” on one side and then written on, in script (and now very pale) “Starbucks Coffee”. I barely barely remember this. I know it doesn’t really work very well as a ‘clip’..has a kind of snap to it where it closes. No idea when I got this. I run into little odd things in odd places from Sbux quite often. (in my house!) I take nothing for granted anymore…. assume it will be gone and never return soon…. Wow! This takes me back! This was the first Christmas I worked in Starbucks like a lot of my fellow commenters… So glad we’re flashing back to this era. The coffee machines did gather dust in some of our stores here, although I do remember my ASM used to sell through the espresso machines pretty quickly – she sold 4 in our stores opening week, although not long after (early 2008) they stopped stocking them. I bought one of the espresso machines and the Cuisinart filter brewer we sold in stores then, as well as a blade grinder that was upgraded to a Burr grinder later. These were good machines and I would love to see a return of these in our stores – however I distinctly remember that the same Cuisinart filter brewer was available in other stores in Glasgow for a lot less than our price point – and very similar espresso machines too. Obviously I recieved partner discount which brought it down to a more reasonable level, but if we ever go back down this road, and I think we should, It’d need to be a lot more reasonably and competitively priced – either that or some very special products! Skooter and StarbucksDave – Glad I was able to take you back in time. It is amazing but 2007 is now ancient Starbucks history! Wow! I only just saw this post but so exciting! 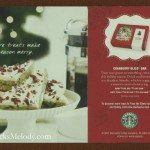 Like others, that was my first Starbucks Christmas too! I actually just found the red Ted shirt from that year the other day unpacking boxes at my new apartment 🙂 thanks for the post! @Brandon, Cam, and Skooter – Congrats on going on 5 years as a partner!! Interesting that 2007 was the year that you-all started. 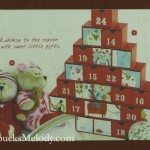 I found my 2007 advent calendar today and for the life of me can’t remember how it goes – from the pics it looks like the numbers are out of order so that the picture puzzle can be in place. 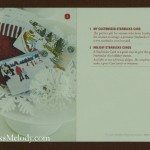 So do you turn each date around or the days until Christmas – please explain. It’s driving me crazy!